This is a Disney classic. The start of the movie is very slow. I actually think the Disney short story book is a lot better, as it condenses the introduction to a few pages instead. Later the movie shifts to a looooong run through the country, almost long enough to remind you of Lord of the Rings - The Two Towers. A bit tedious, and most smaller kids lose their concentration here. Then it finally ends and all is well. 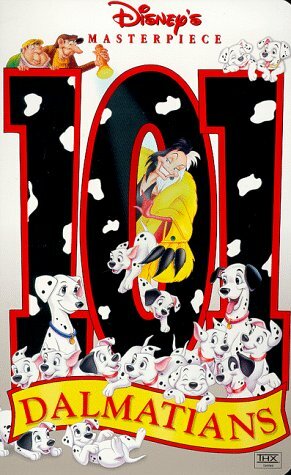 The “bad stuff” in this Disney movie is not that bad, it is the kidnapping of the puppies, but the main culprit ms. Cruella deVille is a bit scary for the smallest children. Also she calls her two henchmen as “idiots”, which now have taught our daughter to call people that. An obvious must see if you are working on introducing your kids to the wonders of Disney.